The 7 Best-KeptSecrets ofToday's Job Market The current employment outlook might seem grim at first glance, but onlyif you don't know where to look. Government and individual investors arepouring billions of dollars into a handful of industries, sparking long-termgrowth and a wealth of great new career opportunities. 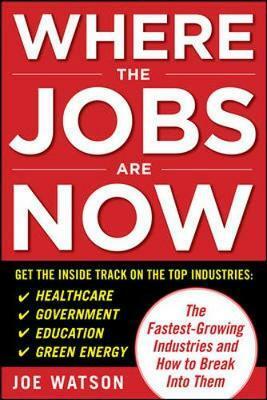 Where the Jobs AreNow explains how you can find a long and lucrative career, at any level, inone of these robust, cutting-edge industries: Health Care Biotechnology Energy EducationGovernment Security Information Technology This book helps you match your existing skills to the market and get thetraining you need-without overturning your life. 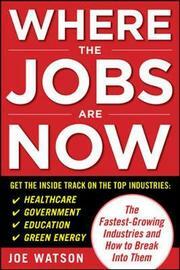 Take control of your futurewith an exciting new career that is guaranteed to weather any economicclimate.